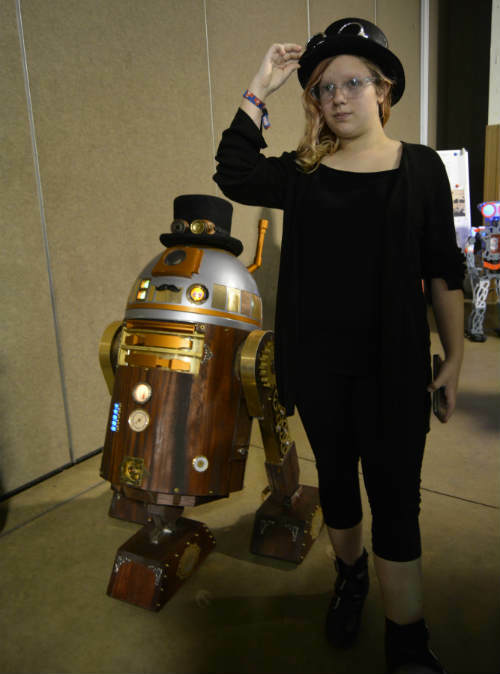 There are jewelry makers, science demonstrations, mini car races, robotics clubs, battle bots, R2-D2 builders, cosplay folks, and lots of opportunities for attendees to participate in or to make something. 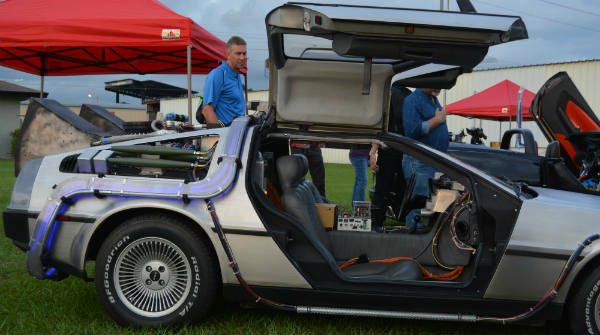 Displays featuring the “Back to the Future” DeLorean, as well as a Decepticon from “Transformers”, and the tour SUV from “Jurassic Park” greeted us upon entry to the grounds. Next to that, Belt sander racing. 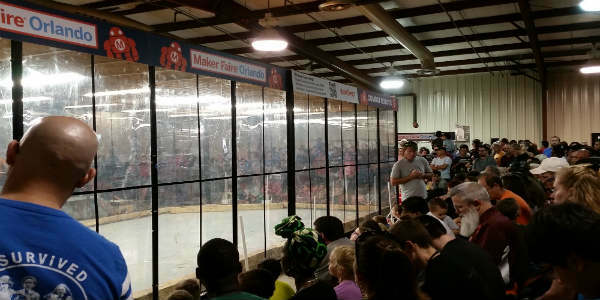 Several Battlebots (from the ABC/Discovery Channel show) were there. HyperShock, Axebackwards, Kraken, Witch Doctor and their operators were ready to battle. Tombstone creator Ray Billings was there, and he took time to speak with attendees. My son loves Tombstone, so it was a complete thrill for him to meet and chat with Mr. Billings. My daughter’s favorite is Witch Doctor’s Andrea Suarez, and it is always great to see her! 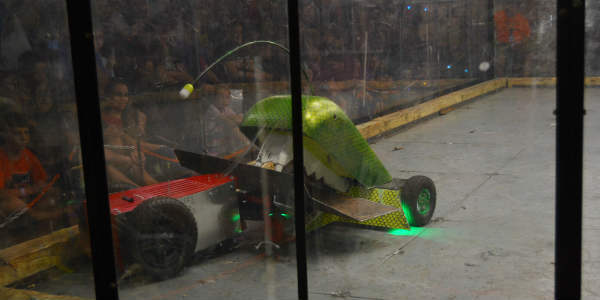 Local high schools also have their competition robots there. 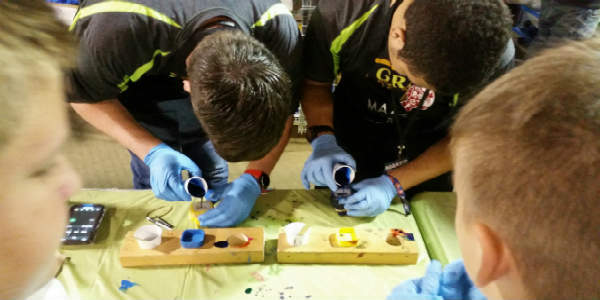 Robotics is so versatile and fun for all ages. What happens to the 12volt cars when your kids outgrow them? Some lucky vehicles are turned into race cars. And yes, they must be souped up for these adults to ride and drive them. This race was won by the “Hot Tub Time Machine” car. I think, as it’s hard to tell sometimes. I do know that fun is had by all! R2-D2’s of all themes were there. The 501st Legion was present to assist Lord Vader as needed. I always love seeing them! A small Drone racing course was set up. These small drones can be tricky to fly through a course, but fun. I know my kids want drones for Christmas. 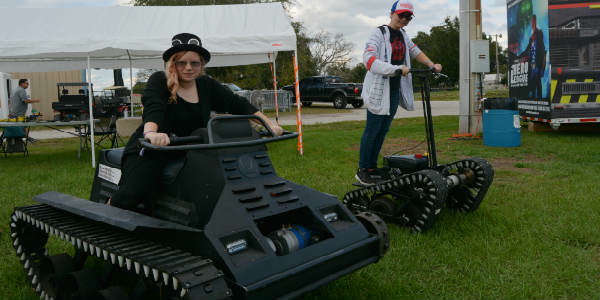 There are also several businesses in the Central Florida area to teach kids and adults how better to control the drone, and how to fly it safely. There was a booth to build a boat from Styrofoam and to try it out. It’s harder than you think it looks. 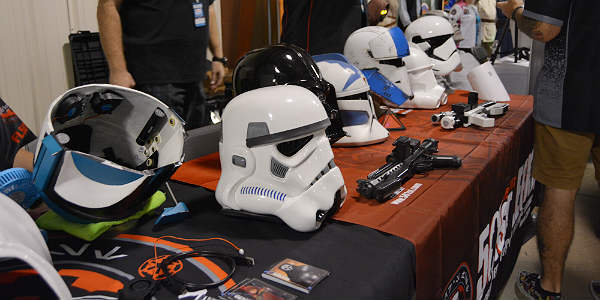 Other booths had physics demonstrations, 3D printing demo’s, and prop departments from Orlando Opera and other theatre groups. 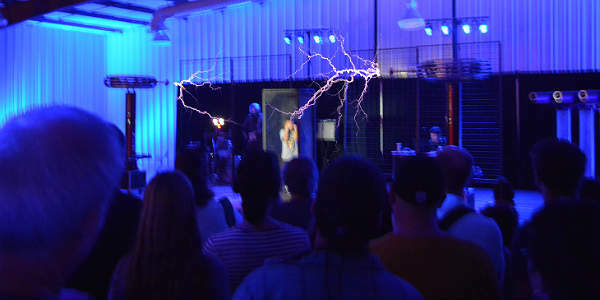 Archetype is a band that uses Tesla coils in their music. They performed, and as always, it’s very cool to watch. Black light jewelry and paintings, as well as performances of a magician were all on “the Dark Side”. I didn’t have time to spend much time there, but I enjoyed what I saw. 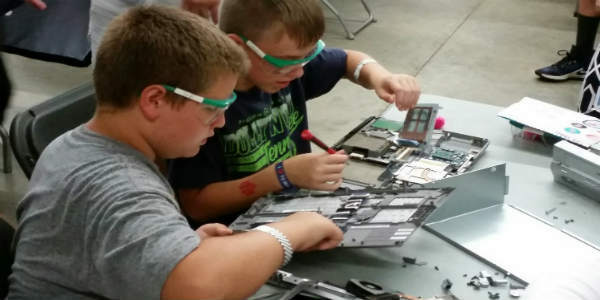 There is an area to take apart old electronics. old laptops, security cameras, VCR’s, etc. All of it can be taken apart. Broken if you have to, but hopefully not. A release must be signed, of course, but it’s interesting to get inside these items. It’s fun for kids of all ages! 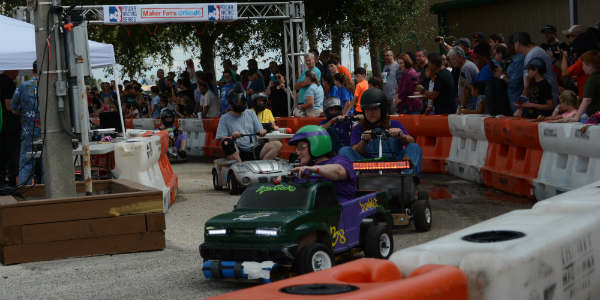 Nerdy Derby is always fun, but not so much when there is no one to give instruction. If you can figure it out on your own, that’s great. We tried. But there is so much to do at this show, that we moved on. We did make small pigmy puffs with the Orange County Library, at their table. Make a t-shirt, and make a plastic Makey bot, I think are a must do. The chemicals are mixed by you, and the helpers pour it into the molds. 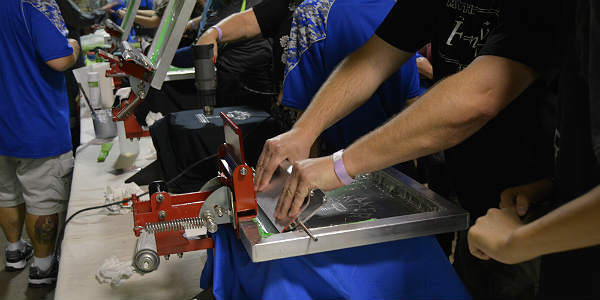 The t-shirt is screen print that you apply to the shirt using a predesigned template. It’s dried and a few minutes later, your shirt is ready! There was a noticeable absence of NASA this year. They come and do demonstrations and activities. They were missed this year. 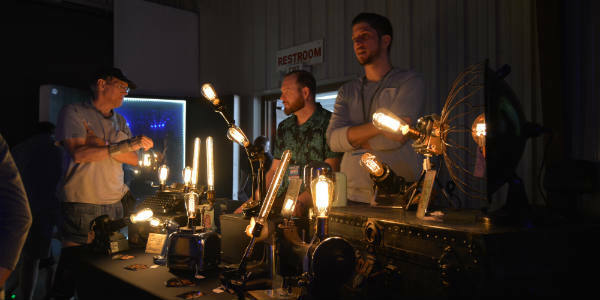 There is always too much to see and do at this show. Getting a two-day pass is great so you can go back to catch everything that was missed the first day. We did have a couple issues with handicap or disabled access. Handicap parking was not as accessible as it should be. We had to make our own way to it, without much direction. “Find your way” is not all that helpful when you are forced to drive through the parking lot, and pray you can find a way to get where you were told. Parking in the designated area was a free for all without many marked spaces. It was frustrating. The performances were also near impossible to see if you are in a wheelchair or mobility scooter. That makes the day more challenging. It’s already difficult to get into these buildings with a mobility scooter, but when it’s made more difficult by lack of planning by the organizers, it becomes a much longer day. I would not consider this show very disabled friendly for this year. Hopefully, it will be better next year. This year did seem smaller than last year, with not as many booths. It may not have been, as it was very busy on Saturday. Attendance was good. Better than last year, I think. But that’s not official, just my impression. 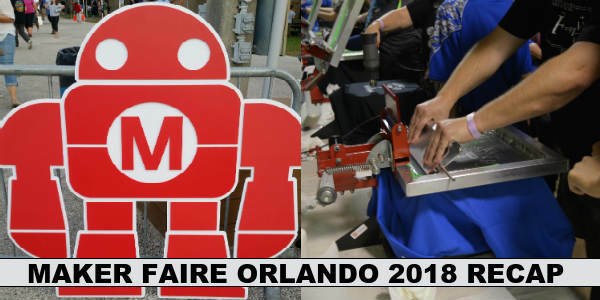 I do recommend attending Maker Faire Orlando. It’s always interesting. Bring your patience, as you would for any event attended by lots of people. And bring your curiosity, as there is much to explore and learn.